We were nearly a year in to a heated battle with a retail tenant. In court, I was representing the landlord. Each side had hundreds of thousands of dollars on the line and the whole case was now turning on the judge’s interpretation of a few words in the lease. This was a Yellowstone Injunction case, and any commercial landlord whose been in the business for some length of time has either heard of or experienced one of these. They’re not pretty. This dispute between the landlord and the tenant centered on the placement of cell phone tower equipment in the proximity of the tenant’s leased premises. The landlord was trying to get additional revenue so he agreed to lease a portion of the property to a wireless carrier for their placement of a cell phone tower. The wireless carrier needed to house some of its equipment in the basement of the building at the property. The landlord agreed to this, but now this retail tenant was claiming this space as a part of its leased premises which made it off-limits to the landlord. The landlord had previously allowed the tenant to use this basement space as an accommodation, but he never considered the basement to be a part of the tenant’s space under the terms of the commercial lease. The tenant, on the other hand, believed his rights to that basement space were a part of the lease and as long as he paid rent on time, he’d have exclusive use of that space. The lease was well written except when it came to defining the bounds of the leased space, and now a year later the whole case was turning on what the definition of the “leased premises” was. Defining the leased premises in a commercial lease is one of the simplest components of the lease, and yet this one term is tremendously important for defining the landlord-tenant relationship. When the tenant refused to make way for the wireless carrier’s equipment, the landlord issued a notice of default with an opportunity for the tenant to cure. If the tenant did not cure the default, then the tenant would be evicted. But before the cure period in the landlord’s eviction notice expired, the tenant petitioned the NY State Supreme Court for a Yellowstone Injunction to stop the landlord’s eviction effort. That’s when we got involved with the case. A petition for a Yellowstone Injunction is a NY procedural remedy by which a tenant (usually a commercial tenant), whose otherwise in full compliance under their lease, can have the cure period in a landlord default notice tolled pending a court determination of whether they’re actually in default. If the tenant is successful, the court will grant a permanent injunction preventing the landlord from evicting the tenant on certain grounds. The petition usually starts with the issuance of a temporary restraining order against the landlord. With the landlord restrained, the court then allows the parties to litigate over the interpretation of the lease and whether there’s been a default. The Yellowstone Injunction is a powerful remedy that commercial tenants have used for years to subvert a landlord’s eviction efforts, and if used correctly, it can delay a commercial eviction for months or years. In this case, the lease didn’t specifically define the leased premises and so the tenant obtained a Yellowstone Injunction to afford some time for the interpretation of the lease. This interpretation now turned on the meaning of a few words. It was up to the judge. Suddenly, the landlord’s prospect of securing a lucrative cell tower lease was in doubt. Without access to that basement space, the wireless carrier would not lease at this site. The whole case was now a matter of lease interpretation. At the heart of the matter was the landlord’s failure to use the proper wording in his lease. What he previously thought of was insignificant “boiler plate” language at the time of signing now had tremendous financial consequences. Had this landlord used an experienced commercial real estate litigator to draft his lease, he never would have had this problem, and instead he’d have a consistent cash flow from the wireless carrier at that point. Instead, he was sitting by the phone, already tens of thousands of dollars in the hole in attorney fees waiting for the call as to how a judge was going to interpret his lease. We’ve resolved many of these Yellowstone Injunction cases over the years, and fortunately, we were able to get this landlord the result he needed, but the case could have easily gone the other way, and the litigation cost to this landlord was exponentially greater than it would have been had he hired an experienced commercial real estate attorney to draft his lease to begin with. These were costly lessons. As is often the case in real estate, you can’t really measure the likelihood of something like this happening, but you can certainly see the magnitude of the problem when it does happen. The magnitude of such problems makes it well worth it to take the nominally expensive, preventative measures ahead of time. By the time these problems arise, it’s usually too late. Getting tenants back in line in situations like this is not easy, but we do it all the time. We’ve successfully fought for our clients through commercial landlord-tenant litigation for years. We’ve given our clients their best chance at success when these real estate disputes arise, and we still do, but fighting is not cheap. On the other hand, preventative measures are a bargain. We’ve drafted and negotiated commercial leases over the years that have given our clients the upper hand in situations like this or helped them avoid these problems altogether. 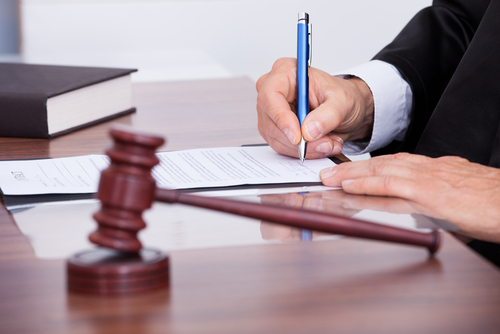 Our commercial leases are built term-by-term on actual litigated cases. Our provisions are battle tested. When it all could turn on the meaning of a few words, what kind of lease would you want to have? Please give us a call if you need help with a commercial lease issue.